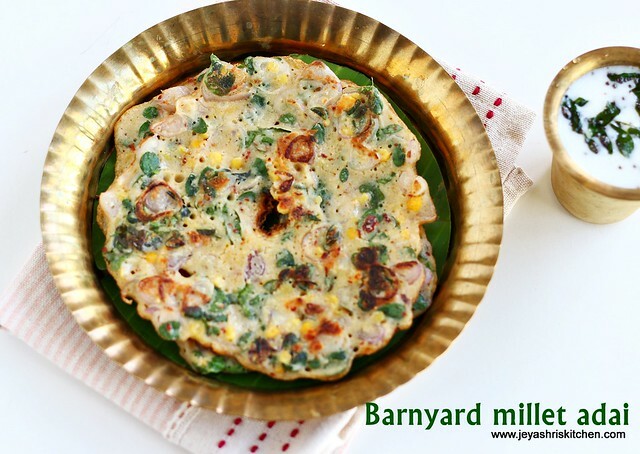 Kuthiraivali | Barnyard millet adai i tried for the first time few months back when i was making supplement book for Mangayar malar themed "Millet recipes". Murungakeerai | Drumstick leaves we generally make poriyal. 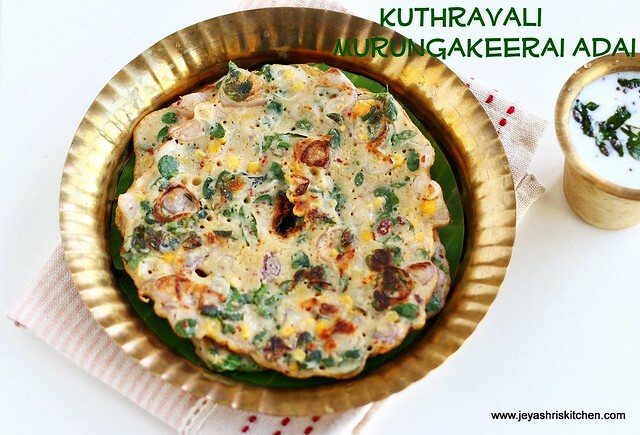 My mom adds this to adai and we all are a great fan of murunga keerai adai. We have a murunga maram at our backyard from where we get fresh leaves and fresh drumstick (organic too) whenever we want. Even in the entire street they take drumstick leaves from our house. And during the drumstick season, amma will give drumsticks to all the friends as we get most and more of drumstick from the tree. 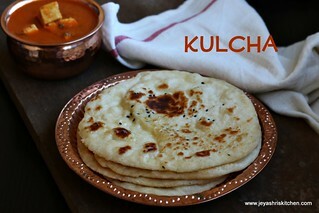 Whenever i cook murngakeerai i have memories of my childhood related to it. 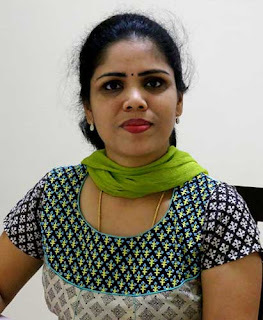 I will be the person who will go to the terrace and pluck the fresh leaves from the tree for the adai or poriyal. Kuthiraivali adai with murunga keerai was a wonderful combo and i had this for breakfast today with a glass of neer mor too. 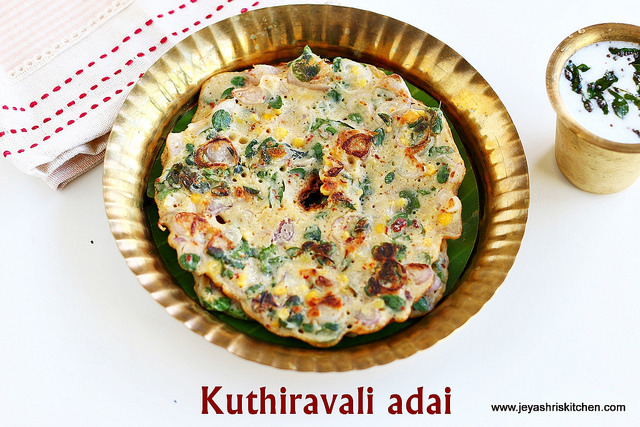 You can have adai with aviyal too. Soak the kuthiraivali millet and poha together . 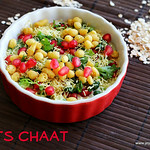 In another bowl soak the channa dal and toor together. Soak this for 2 hours. Meanwhile slice the onions and keep it for adai just before grinding. Grind the rice and poha together into a fine paste. 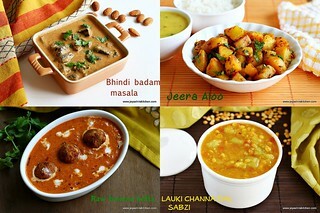 Grind the toor dal, channa dal and red chili together into a coarse paste. Add asafoetida and salt. Mix both the ground mixture together. Add the shallots and drumstick leaves. No need to cut the leaves. Add as it is. Mix well . No need to ferment. Batter is ready for adai. Heat a pan and when it is hot pour in a ladle full of batter and spread this into thick adais. Make a hole in the center and drizzle oil around the adai. Cook on both sides till it becomes golden brown. Cook in a medium flame only. Adai is ready to serve. 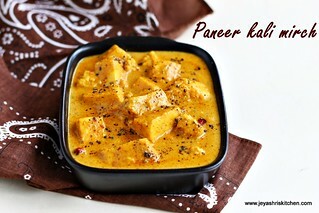 You can have this as it is without any chutney or molaga podi. If needed you can have with jaggery | vellam. Adding poha will give softness to the adai. 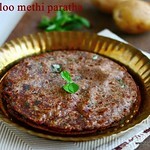 You can add 1 tblsp of urad dal to the dal mixture to give more softness to the adai. 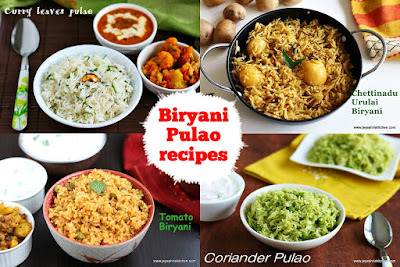 Big onions can also be added to this , but small onions enhances the taste. looks very nice. 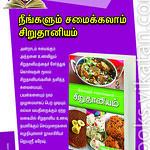 muringa keerai makes it more healthy..
Barnyard is horse gram or mutheeraa right. Very healthy recipe. 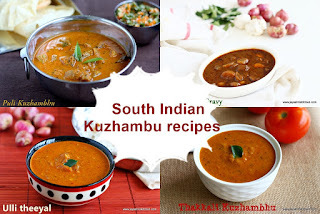 Can you try this with other millets like varagu,thinai?? Thank you, yes you can try with varagu,thinai and samai.